SARASOTA, FLORIDA, May 8, 2018 – A $67 million plan to renovate the popular downtown Sarasota attraction Marie Selby Gardens moved a step closer to its implementation, with recent reports that $15 million in grants have already been raised for this project and more pledges of support are expected. Located at the southern edge of the “Marina Row” which teems with high-end bayfront Sarasota condos for sale, the Gardens, itself was a former residential property—the circa 1930s home of prominent Sarasota couple William and Marie Selby. Since its inception over 40 years ago, this garden park has expanded to encompass 15 acres which include an extensive bay-shore area. Set in three stages, the renovation calls for the construction of a new administration building and welcome center, a new entrance off Orange Avenue, and a five-story parking garage with a rooftop restaurant. 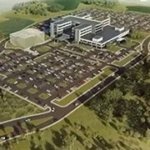 The project hopes to create 50 percent additional green space through a consolidation of greenhouses, research facilities and offices in planned new structures. 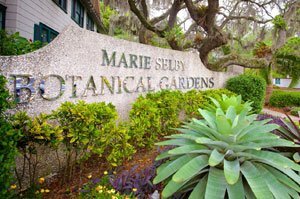 The renovation will likewise incorporate water treatment and green technology, thus providing added educational opportunities at the Selby Gardens and turn it into an international model for urban design planning. The Gardens, which opened in 1975, is already touted as the only botanical garden in the world focusing on the display and study of air plants like orchids and bromeliads. Ranked recently by USA Today as one of the top 10 parks of its kind in the country, Selby Gardens draws over 200,000 visitors yearly. Its membership has expanded significantly in the last two years, resulting in a 26 percent gain in its revenues. The growth in the popularity of the Selby Gardens has been enhanced by its introduction of museum-style programming. Its main attractions though are its tropical and subtropical bamboo garden, a koi pond, a fern garden, and its mangrove forest accessible via a wooden boardwalk. The Gardens’ bayfront also features a dock which was improved recently to relaunch Selby’s partnership with the Sarasota High School’s Carefree Learner floating classroom. Through this program based at the Marina Jack, students are taken on boat tours of Sarasota Bay. This program includes a stop at Selby Gardens for a students’ visit of its mangroves to appreciate these trees’ value to the natural environment. The Selby Gardens’ main banquet hall has been renovated as well, following a tie-up with Michael’s On East, a local restaurant favorite of many locals. 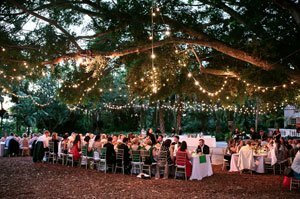 This banquet hall, renamed Michael’s On the Bay at Selby Gardens, hosts special events like holiday celebrations, weddings, and social functions of nearby communities. Towards southeast, the Hudson Bayou is the residential community nearest the Selby Gardens and shares much of its endearing character. Most local residences, which range from the condos of Hudson Landings to the single family homes in Hudson Harbor, are nestled amidst mature trees and lush foliage. Available properties in these subdivision can sell within a few weeks of their listing, which in more ways than one affirm the positive impact that the Marie Selby Gardens brings to Sarasota’s communities.